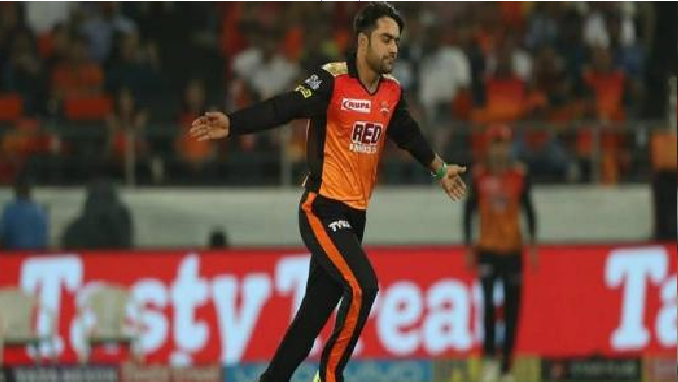 KABUL : Afghanistan’s all-rounder Rashid Khan shined once again last night with his last over heroics in the Indian Primer League (IPL) match to beat Rajasthan Royals by five wickets in the chase of a huge target. Rashid Khan’s 8 balls 15 proved majestic when their side was struggling as only set batsman Yousuf Pathan was their hope but it was Khan to took his side home. Earlier, Warner and Bairstow also set a solid opening partnership in the chase of 198 runs target. Rashid was also handy with the ball as he only conceded 24 runs in his four overs and grabbed one wicket.